Richard Wallace Caldwell was born at Shoalhaven, NSW, in 1869, son of Richard Caldwell and his wife Lucy Ellen, née Stanger. In 1899 at Redfern, Sydney, he married Mary A Fogerty and they had one son. He died in Sydney on 23 April 1945. In 1930, R W Caldwell was living at 4 Acton Street, Hurlstone Park. From 1932 through to 1938, Richard Wallace Caldwell regularly gave evidence at Tariff Board hearings, on behalf of the joint committee for tariff revision. 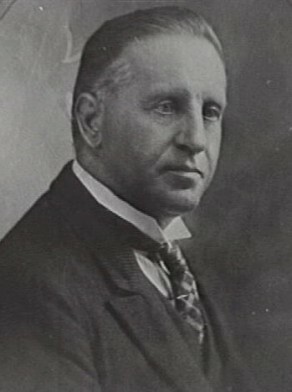 Richard Caldwell was Alderman for Bligh Ward, 1 December 1921 to 30 November 1924. He was a member of the Health and By-Laws Committee, 1922-23; the Finance Committee, 1923-24; and the Electricity Supply Committee in 1922.